The daily commentary about the Obama era has largely overlooked a trend that is now unmistakable—namely, the growing conservative sentiment in this country that goes well beyond the tea-party rallies and Glenn Beck’s rants. Gallup offered the first piece of compelling evidence. On January 7, 2010, it reported that self-identified conservatives had increased from an average of 37 percent of the electorate in 2008 to 40 percent in 2009. (By contrast, moderates and liberals each decreased by one percentage point during that period.) Gallup based its conclusion on a synthesis of surveys taken throughout 2009, with a total sample of nearly 22 thousand and a margin of error of less than +/- one percentage point. It found, moreover, that ideological shifts among independents—a three-point drop in moderate identifiers, coupled with a five point-gain in conservative identifiers—accounted for most of the overall change. Galston argues that this is part of a long-term increase in the polarization of the electorate—moderates over the past 30 years have increasingly identified with either liberalism or conservatism. But the recent shift is clearly toward conservatism. I suppose that is to be expected in the midst of a long recession with high unemployment. But it is troubling that, in two short years, a significant number of people have simply forgotten that our current difficulties are the direct consequence of disastrous conservative governance. It is troubling but not surprising. 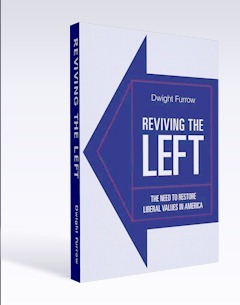 As I argued in Reviving the Left, conservative values are the default position in this country. When things go wrong, the source of the problem is always the government (or the urban, educated elites who run it), and authoritarianism and individualism will always appear to be the solution.